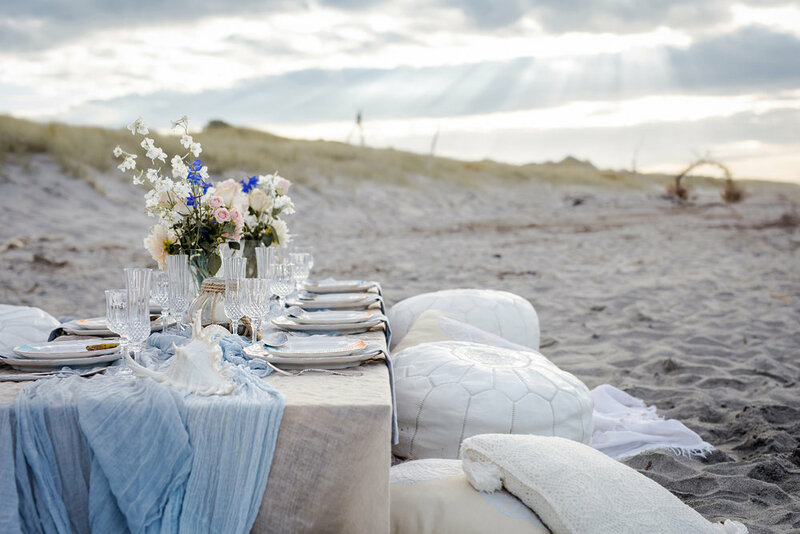 Based in the stunning Bay of Plenty – New Zealand, The Heirloom specialises in beautiful, innovative wedding design and event styling to suit every occasion. With a large rental inventory available to hire, planning a successful praise-worthy event can be executed with confidence and ease. Our team love creating beautiful individual events that will leave your guests in awe. We take great pride in our work and delight in designing celebrations, ball décor, corporate events and photoshoots which represent our aesthetic and the client's brief. Our small bunch of creatives love working with colour, texture, florals and we take inspiration from our surrounds. Our huge hire inventory has been handpicked by the team and each piece is carefully chosen with our clients in mind. Our range is continuously growing and we are always on the hunt for those special bespoke pieces. Table Linen, Floral Vessels, Furnishings, Lighting, Lawn Games, Candle Holders, Vintage China, Wedding Fur Stoles, Glassware and Crockery are just a small part of our large rental Inventory. Since 2012, we have been working behind the scenes at hundreds of weddings across New Zealand. We love working with the most amazing couples & helping them create their special day! The Heirloom has been featured in some of the worlds top wedding blogs and New Zealand's bridal magazines. Check out some of our inspirational styled shoots and published work.